Website design is more important now than it has ever been. In such a technological world, having an eye-catching website that draws clients to your business instead of sending them to your competition is extremely hard when you try and do it on your own. 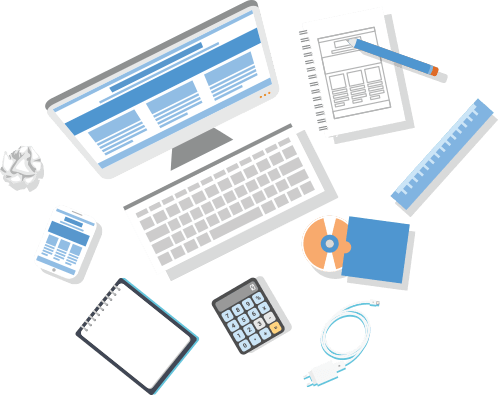 Web designers are trained professionals who know how to create and sculpt the website you want and need. While you think you may be able to do it on your own, hiring a web designer actually works for your benefit. •	It saves you time. Imagine trying to design a website without knowing how to. Even if you know a little bit about what you are doing, you are still going to spend hours just trying to fix one thing. You are going to spend excess time experimenting and running into problems whereas a professional web designer can zip right through the process. Professional web designers know what you are trying to achieve and how to achieve them. That leaves you more time to focus on other important parts of running your business. •	You get a fully customized website. If you try to design your website yourself, chances are, you are using some sort of website builder or template. That does not leave much room for customization. A one-of-a-kind website is really what drives viewership to your website. Viewers want to see something unique so they know they are getting a unique service. Professional web designers can create a custom website from scratch that guarantees no one else has one like it. That is something that cannot be achieved without a professional web designer. •	Professional web designers know the ends and outs. Websites require certain technological upkeep to keep up with the fast world of the Internet. Certain aspects like page load times and browser compatibility are things that you might not think to check of yourself, but can have a large effect on the viewership you bring in. Professional web designers are trained to too keep all of this in mind. All of these ends and outs keep a website up and running and by hiring a professional web designer, you are promised a fully-function website and you have someone to turn to if something goes wrong. •	Professional web designers know how to search engine optimize your website from the ground up. As you many know, search engine optimization is integral to building a website that draws in lots of viewers, but without vast knowledge of building a website, you can only search engine optimize so much. You can use SEO on any text on your website, including blog posts and lengthy descriptions, but what about in the HTML code? Would you even know where to start there? Professional web designers know all about the backend of SEO and can help your website reach its potential to the fullest.